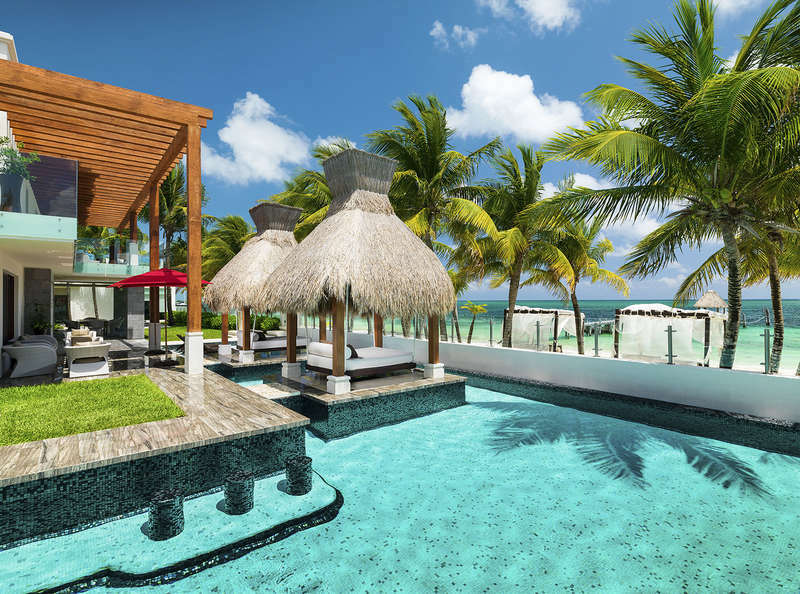 Riviera Maya, located on Mexico's Caribbean coast, has long catered to international tourism. Of course, one look at the region's stunning beaches and it's not hard to see why. From the white-sand beaches and clear water of Playa del Carmen, all the way to the exciting nightlife of Cancun, the Mayan Riviera offers travelers a wealth of ways to appreciate its beautiful weather and stunning landscapes. History lovers also flock to the region to appreciate the Mayan ruins, which include the mysterious lost city of Chichen Itza and its famous El Castillo pyramid. And while all-inclusive resorts have long been a mainstay of the tourism scene, Mayan Riviera vacation rentals are fast becoming a popular way of adding value to traveler's trips, with so many beachfront condos and full-size villas available at a price equal or lower to the cost of many all-inclusives. 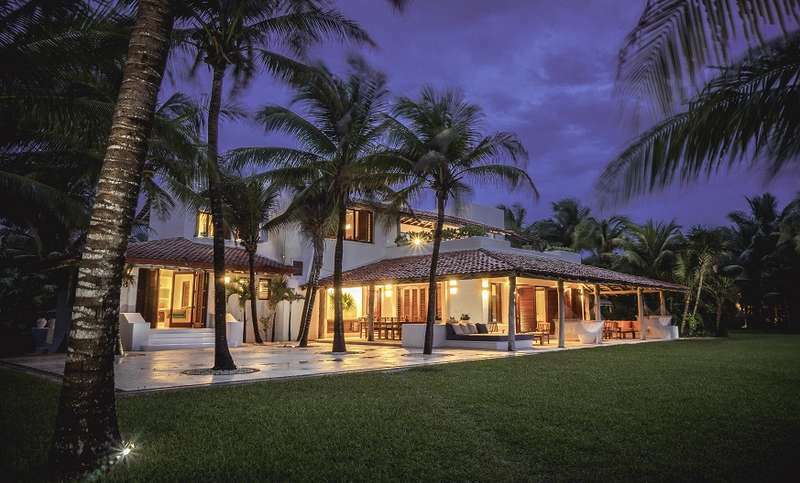 Since Mayan Riviera vacation rentals come in all shapes and sizes, travelers are sure to fund something they like. 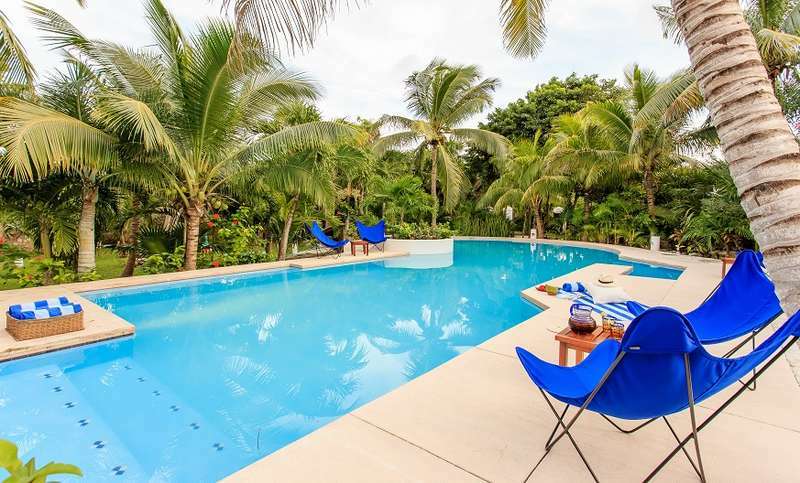 Those looking to experience an authentic taste of Mexico can stay in haciendas featuring unique tile work and ceramics, local artwork, and lush backyards with hammocks, barbeques, and swimming pools. Or, you can rent a condo on the beach, many of which are located on resorts, and enjoy all of the amenities offered by the building, which often rival those offered by hotels and can include spa treatments, massages, and five-star in-room dining, making them perfect for honeymooners. 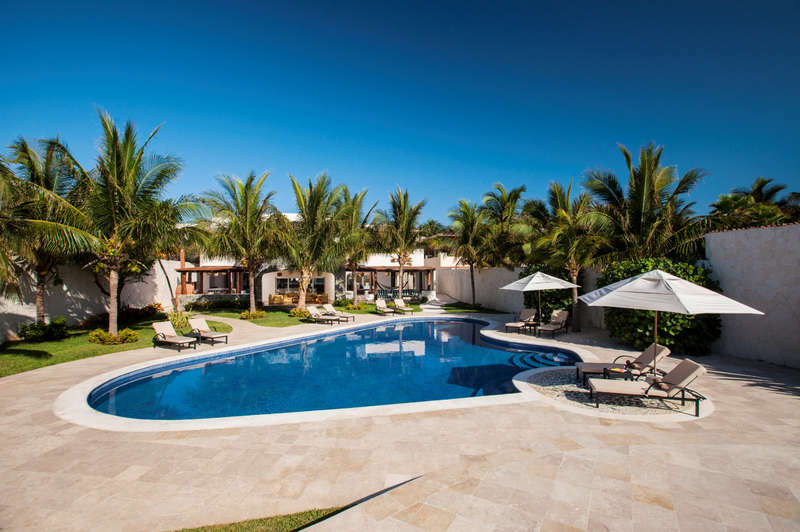 Of course, those looking for large, beachfront villas, including those that can accommodate weddings, will find a wealth available in the Mayan Riviera as well, since it's quickly becoming one of the most popular wedding destinations in the world. Travelers to the Mayan Riviera will most likely be landing in Cancun International Airport. 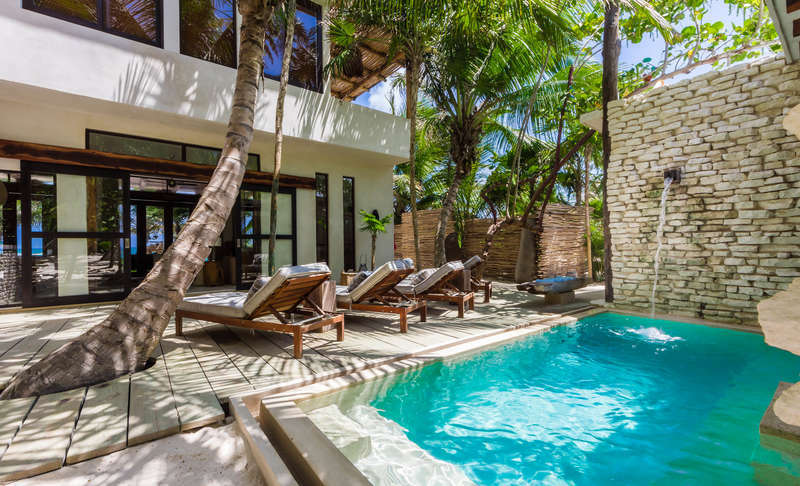 From there, reaching major destinations like Playa Del Carmen will be easy, since there are shuttles, busses, and taxis available at the airport. Once you're in the resort, you will likely be taking advantage of organized excursions to visit many of the region's main sights, like the famed Mayan Ruins. Car rentals, then, are primarily advised for those who are staying a bit further off-the-beaten-track, or that want to explore the country on their own.